How long has orthodontics been around? Have people always been self-conscious about their teeth? Did people straighten their teeth in centuries past? In our modern world, we reap all the benefits of fantastic orthodontic treatments that seem so simple and effective. It wasn’t always that way though. You might not be surprised that people have always had a desire for straight teeth. What you might not know though is that orthodontia goes back many centuries. Some methods and experiments in the past were downright painful when it came to orthodontics. Nowadays, we don’t have to use crude methods for straightening and there’s no guessing game when it comes to perfecting your pearly whites. At Belmar Orthodontics, we practice modern, effective and simple methods of orthodontia to give you an amazing smile that will last forever. Learn more about orthodontia through the ages and the revolutionary technology we have available at our disposal today. The Romans, Ancient Greeks and Etruscans practiced unique methods of orthodontia. Mummies have even been found from Ancient Egypt with crude metal instruments wrapped around their teeth (presumably to keep the teeth straight in the afterlife). Writers and philosophers also had their own ideas and theories for teeth straightening as far back as 400 B.C. Celsus was one of these writers and believed that newly-emerged teeth could be moved into proper place by pushing them. Hippocrates was an Ancient Greek physician that wrote about tooth irregularities in 400 B.C. Much of the early orthodontic experiments and advancements came out of France. France was in fact, the leading country in dentistry and orthodontics centuries ago, which is no surprise as many philosophers had written about orthodontia and dentistry in this area of Europe for centuries. Joachim Lefoulon came up with the word “orthodontosie” in 1841, which translates to “orthodontia”, or the word we use today for orthodontics. Since that time, the term has stuck and is what we still refer to as the term for straightening the teeth. Pierre Fauchard is considered the “Father of Dentistry”. He worked in orthodontic care in his time period, as orthodontia was not separate from dentistry then. He actually used forceps to forcibly move the teeth into proper alignment, then tied the moved teeth to their neighbors until the teeth could heal into place. Talk about painful! The actual art of orthodontics took shape around the 18th century. The United States didn’t see orthodontic advancement until after 1830. During that time, many people performed their own orthodontic and dental treatments or had their local barber do the job. J.S. Gunnell was the first to invent headgear in 1822. This headgear fastened to the jaw and worked on the outside of the mouth to move the teeth on the inside of the mouth. Edward Hartley Angle is known as the “Father of Orthodontics”. Having a knowledge of dentistry, he saw that orthodontia was similar, but separate to dentistry. He created the first effective orthodontic appliances in 1880 that would straighten the teeth over time. Charles Tween became the first certified orthodontist in the U.S. once dentistry and orthodontia emerged as two separate dental fields. As early as 1970, metal wires and brackets were still being developed. Stainless steel was used for wires and brackets, making teeth-straightening methods much easier to control. In fact, NASA played a part in creating the wires that are used in braces today. 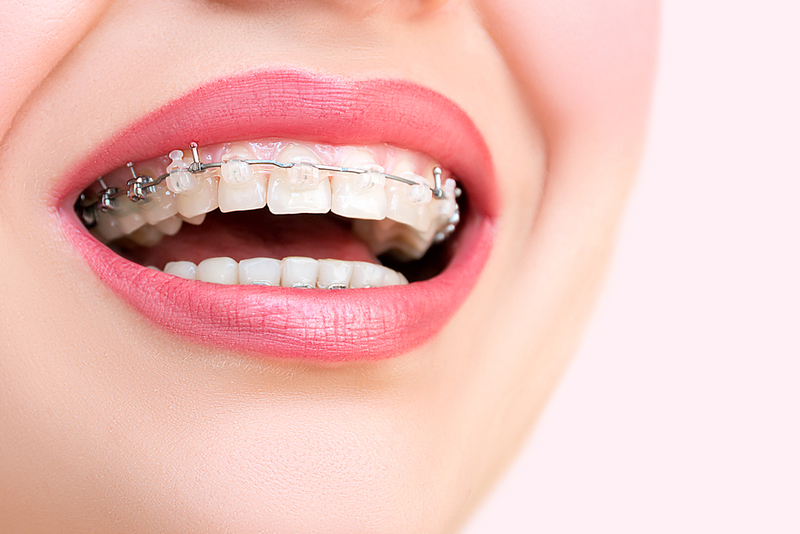 Braces wires are made of nickel titanium, an alloy originally developed by NASA for the space program. Dr. Hardy created his Belmar Orthodontics practice in the Lakewood, CO area, becoming an award-winning Lakewood orthodontist. He is an active member of many organizations such as the American Association of Orthodontics and the recipient of many awards. Another fun fact about orthodontics is that ALL orthodontists are dentists. Orthodontists go to dental school, where they then move on to study an additional 2-3 years in order to perform orthodontic treatment. Only around 6% of dentists are orthodontists though. Your orthodontist (such as Dr. Hardy at Belmar Orthodontics) could technically do your dental work. Dentistry and orthodontics are separate divisions of oral health, but both are vitally important to achieving proper oral health. Nowadays we have many orthodontic care options when it comes to taking care of and straightening your teeth. Thank goodness we don’t forcibly move your teeth with forceps, right? There are so many amazing facts about the history of orthodontia! We encourage you to learn more about it’s history as well as make a plan for your own orthodontic care. We can help you with that plan by offering hidden Incognito lingual braces attached to the inside of your teeth, traditional metal braces, and Invisalign clear removable aligners. Let us help you get the beautiful straight smile you want! Call our Belmar Orthodontics office today at (303) 225-9016 for your free consultation!